Raise your hand if you’re tired of the geek online dating scene. Yeah, most everyone is. That “date a geek” site you thought was legitimate turned out to be just a database that you’ve seen on umpteen other “geek singles” sites, and before the sun comes up the day after you sign up your inbox – which should be full of potential geek love – is full of spam. Who knew you could score such a sweet deal on ephedra from the Philippines? Not this guy, that’s for sure. So as the online geek dating market combusts, why not try something new? Would you dare? 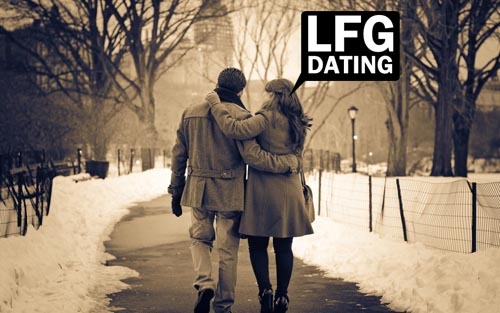 Enter LFGdating.com: hit the link below for all of the homemade details! While LFGdating.com was created with finding love for the gamer, it has evolved into encompassing the entire “geek” community, because in all reality, we really make up the same underrated demographic. LFGdating.com is a professional dating service that is entirely unique, and by unique I mean our backend is no-kidding homemade; you will not find it anywhere else. We do not connect to other “dating databases”, and we are bot-free which means no spam – only actual messages from actual people. We back up our service with 256-bit, 3-layer SSL encryption throughout the site, meaning your personal information is secure. And to top it all off, you won’t see a single advertisement on LFGdating.com; we have the benefits of private investment funds that fuels this incredible dating destination, and we are striving to be perfect. We’ll admit: we’re not perfect, but we’re listening, incredibly transparent, and always seeking continuous improvement. Just a month or two ago we opened a traffic-busting forum over at Reddit in their “Ask Me Anything (AMA)” section, listening to current, new, and potential users and getting a plethora of awesome feedback in the process. We encourage you to take a break from the traditional geek dating site, and find true love within the friendly, online neighborhood here at LFGdating.com. I promise you won’t be disappointed. Thanks for stopping by, and enjoy LFGdating!